Cycle Control is a robust solution designed to scale your Agile practices and fill the gap between managing a single team and a portfolio. 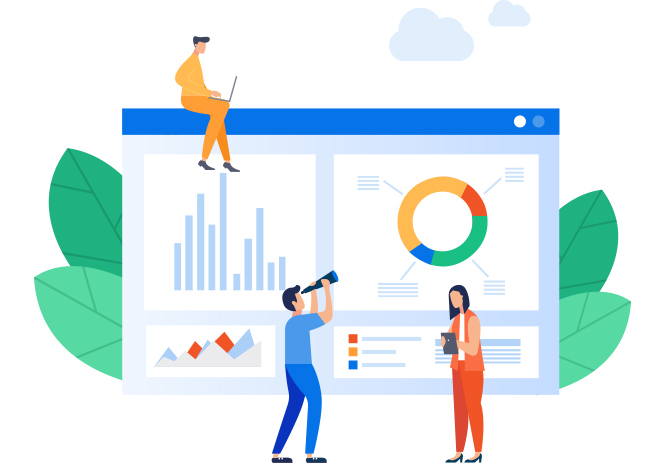 The tool enables you to roll-up the data of any initiative that’s been tracked in Jira, and effectively monitor, track, and forecast its progress and status. Multiple teams can be aligned and coordinated easily and with ultimate precision using real-time data. An invaluable tool for managers looking to achieve a balance between enterprise governance and team autonomy. Cycle Control adapts to the existing structure and processes of your organization and enables you to efficiently control the lifecycle of an initiative, without disrupting the work processes of individual teams. 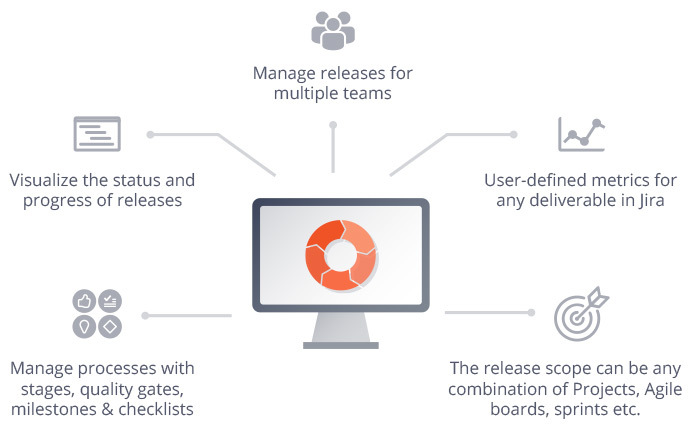 The teams can use any existing process – traditional, Scrum, Kanban, or custom. 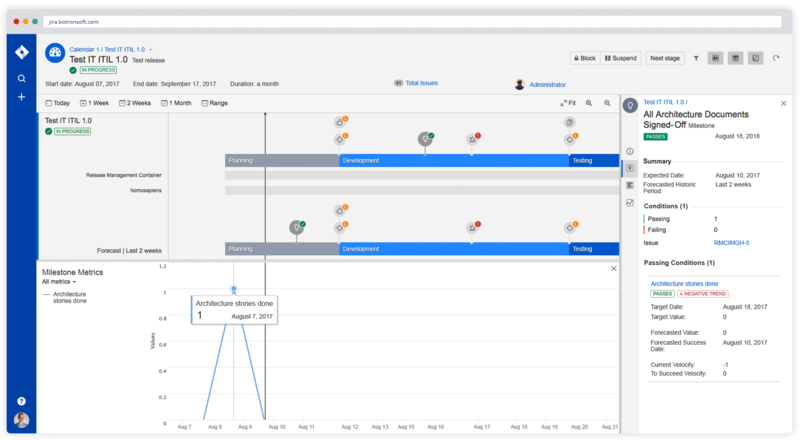 Managers can easily monitor the status and progress of initiatives via user-defined metrics for deliverables in Jira, and manage the process with release objects such as stages, quality gates, milestones & checklists. 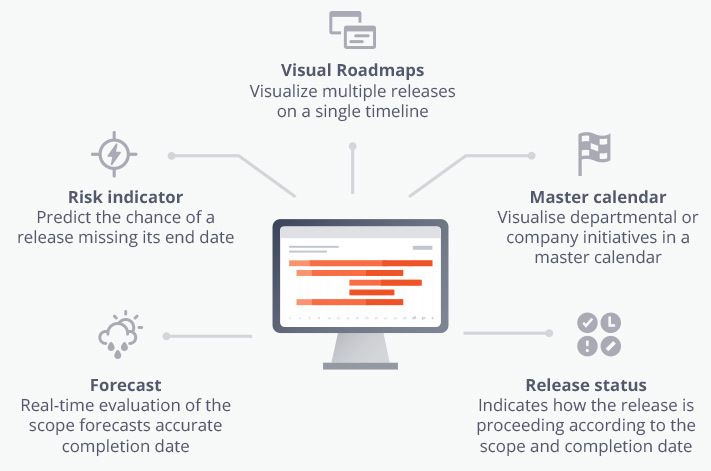 Cycle Control gives you the ability to visualize multiple departmental and company initiatives on a single, data-driven roadmap complemented by using interactive timelines. 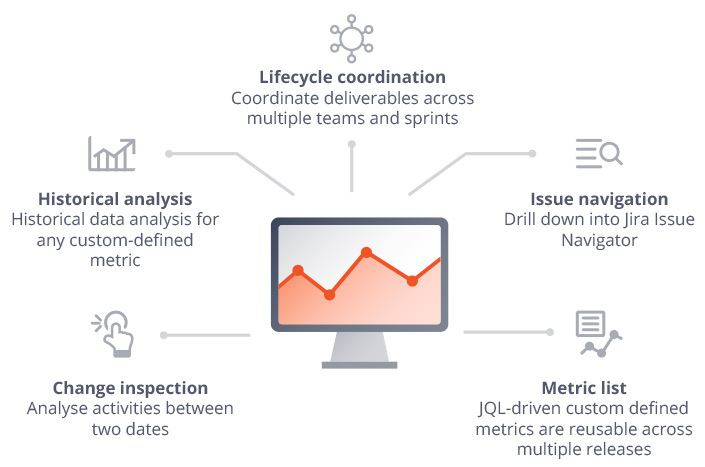 A set of powerful capabilities enables managers to monitor how an initiative is proceeding according to its scope and due date and quickly identify risks and problematic dependencies. Additionally, an innovative forecasting feature predicts an accurate completion date using a real-time evaluation of the initiative scope and intermediate deliverables, thus allowing managers to take corrective actions in advance. With a single glance, Cycle Control gives managers all the information they need to efficiently manage and coordinate large initiatives of multiple cross-functional teams. With historical data analysis of user-defined metrics, managers can easily identify risks and roadblocks of an initiative. By analyzing the activities between two dates, managers have in-depth visibility into the dynamics of any given initiative. “As a PMO Director for mid to large companies I’ve struggled for many years to balance the need for Agility and enterprise governance.